No one likes to think about doing their laundry, but at some point washing your clothes will become a fairly unavoidable necessity, especially if you're traveling for more than just a few days. And whether you’re a budget backpacker or a more high-end tourist, there are options for every budget. If you are traveling in Peru, here are the three standard laundry options available for travelers. A hotel or hostel sink is more than sufficient for washing socks and t-shirts, but, it's not always ideal. Many such establishments have a strict ban on doing laundry in the guestrooms, so be check beforehand, so you don't run the risk of upsetting the owners. Electrical plugs are also a rare find in budget hotels and hostels, so consider packing a universal sink plug. Getting your clothes to dry quickly is also a problem, especially if you're trying to keep your clandestine clothes washing a secret. In a perfect world, you'll find a hostel or guesthouse with a little laundry area and a washing line for its guests, but in a bind, you can arrange your clean clothes on the shower rod, or hanging in the closet. Whatever you choose to do, do not, under any circumstances, use the in-room coffee pot to wash clothing. Not only is it incredibly unsanitary for you, but you run the risk of seriously injuring the next guests who may plan to use the machine for their morning cup. If you want to wash your clothes in hot water, try using the highest setting on the sink faucet. If this doesn't work, boil water in the machine and pour over the sink, ensuring that the spout does not touch personal items. For the most convenient way of washing your clothing, many hostels and hotels offer a laundry service. You will most likely pay more than you would at a local launderette, and the quality of service may not be as good. You should also expect to wait anywhere from six to 24 hours for your clothes. One of the biggest problems with choosing to use a laundry service in a budget hostel or hotel is the loss of your clothing. Even if you're only missing one sock or pair of boxer shorts, it's still a hassle. Before dropping off your clothes, you should make a list of each item of clothing to show to the receptionist when you hand over your clothes. Should your lucky underwear go missing, your list will give you extra leverage when it comes to finding them. There are launderettes (lavanderías) all over Peru’s Major Cities, and you’ll normally find at least one in most small cities and towns. Self-service machines are rare. Instead, you will typically be instructed to hand over your bag of clothes to a member of staff that will weigh it to determine the price. Expect to pay about US$2 to $4 per kilo (some places charge per item, but this is not very common). If you deliver your clothes in the morning, they’ll often be ready for pickup, having been cleaned, dried and folded, by the late afternoon. Otherwise, they’ll be ready the next day (unless it’s a Sunday and the lavandería is closed). 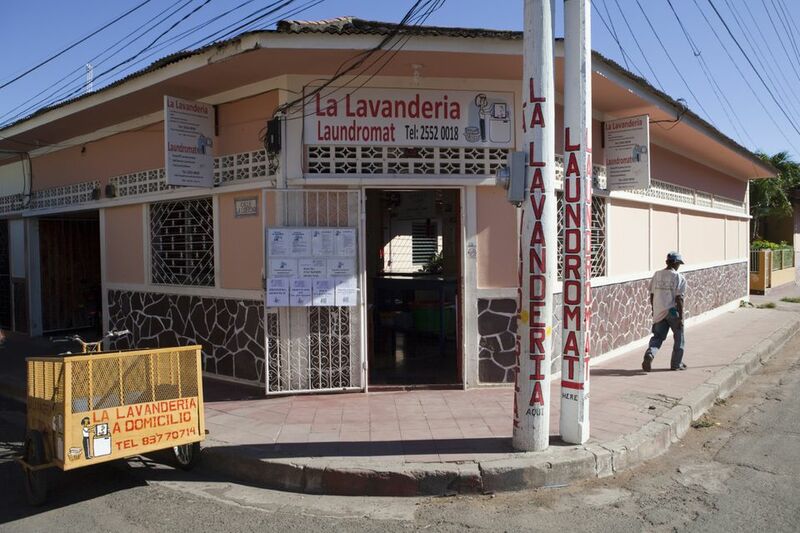 Loss of clothing remains an issue at lavanderías as well, but high street businesses tend to be far more efficient and reliable than a hostel or hotel's laundry services. It's still worth making a list of your items, just to be sure, and sometimes the launderette will do this for you. Should You Bring U.S. Dollars to Peru? Can You Drink Tap Water in Peru?